“Two-a-days” will be starting soon at high schools across Kansas City to prepare for the football season. Many kids have spent the summer inside in the climate-controlled atmosphere and as a result, aren’t adequately prepared to withstand the sometimes oppressive heat. 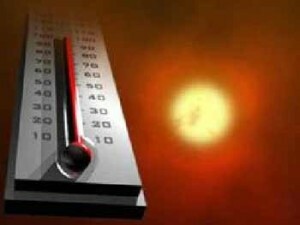 Some succumb to the heat and suffer heat illnesses like heat exhaustion and sometimes, the life-threatening heat stroke. However, parents and coaches can do more to help their young athletes adjust safely and effectively. While football tends to be the focus of heat acclimatization because of the fact that football players wear pads, the concepts can be applied to all athletes who have to compete in the heat. All forthcoming information is adapted from the National Athletic Trainer’s Association Consensus Statement on Pre-Season Heat Acclimatization for Secondary School Athletes. The sports medicine experts at SSOR are committed to helping athletes prevent injury and providing parents, coaches, and athletes the tools to compete safely. The heat acclimatization phase lasts 14 days – the goal of 14-day acclimatization phase is to increase heat tolerance and enhance the ability to safely and effectively perform in heat conditions. For the first five days, there should be no more than one practice per day. Total practice time should not exceed 3 hours per day. A one-hour walk-through is allowed, but only if there is a three-hour recovery period between practice and walk-through. The first two days should be helmets only. On days three through five, only helmets and shoulder pads should be worn. On day six, all protective equipment/full pads can be worn. Beginning at day 6 and till day 14, a two-a-day practice should be followed by a single practice the next day. Walk-through is permitted on the single practice day. During two-a-days, practice should not exceed 3 hours and total practice time should not exceed 5 hours. Two practices in the same day should be separated by 3 hours in a cool environment. Weight training, conditioning, and warm-up/cool down activities are included in the 5 hours. Water breaks should be frequent. A good guideline is every 15-20 minutes. Hopefully, if athletes and coaches adhere to these guidelines, heat illnesses should be minimized. Plus, it is best case scenario to have a Licensed Athletic Trainer at practices to help watch for the signs of heat illnesses. However, sometimes an athlete can be overcome by the heat and coaches and teammates need to act fast. Remove the athlete from the outdoors and get him in a cool environment. If none is available, shady areas are the next best option. Remove wet clothing. Wet clothing will not allow the sweat to evaporate and makes dissipation of heat more difficult. Cool the athlete as quickly as possible with cold towels, fans, and ice bags in the armpits, groin, low back, back of the neck, and midsection. Provided he is conscious, alert, and oriented, provide cold fluids, preferably electrolyte drinks. Monitor for consciousness and call 911 if the athlete’s condition starts to fade. One more tip: if you can be disciplined enough, have your athletes weight themselves before and after practice or the practice day. The difference is water weight lost. For every pound lost, replace with 8 ounces of water. Without doing so, the athlete will be at risk for heat illnesses. Be safe out there kids! Good luck this fall sports season!